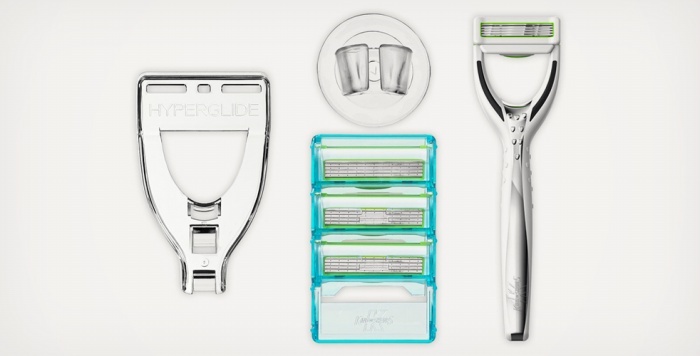 Hyperglide Razors With Self-Lubricating Cartridges: Smoothest Shave Ever? | OhGizmo! Hyperglide Razors With Self-Lubricating Cartridges: Smoothest Shave Ever? By Hazel Chua on 02/06/14 • Leave a comment! Razor burns and nicks are not only painful, but they also mess up your face for a short period of time, too. Of course, shaving cream helps some, but if you can’t be bothered to put it on before every shave, then these Hyperglide Razors are a worthy alternative. Made by King of Shaves, these multi-tasting razors come with self-lubricating cartridges that release its own shaving gel of sorts when it comes into contact with water. That means you’ll be able to get a closer, smoother shave with just the razor and nothing more. The Hyperglide Razors are available online for £9.99 (about $17).